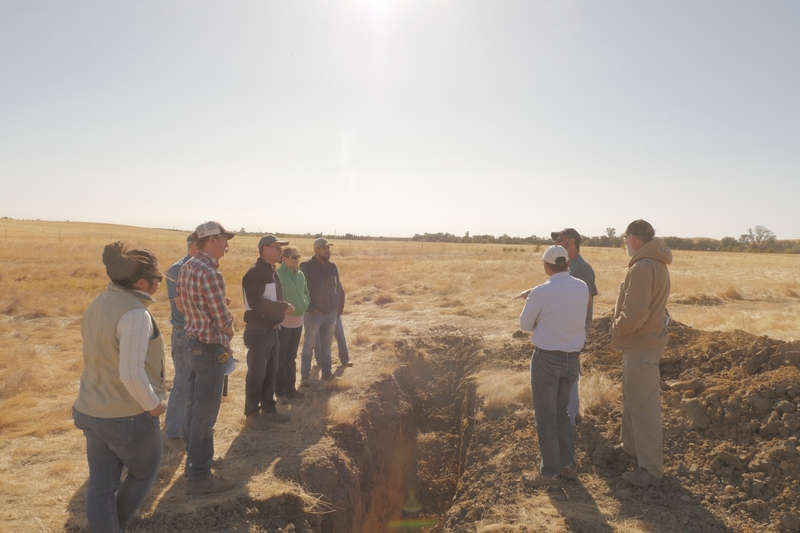 In hopes of highlighting this diversity of soils and encouraging growers to dig a little deeper to better inform their management practices, Konrad enlisted the help of UCCE soil resource specialist Toby O'Geen to lead a field tour of three major soils in the southern Sacramento Valley. The event included three pit stops on two Yolo County farms and brought out a diversity of participants from USDA Natural Resources Conservation Service agents, to resource conservationists, to farmers and crop advisors. Kicking things off at Rominger Brother's Ranch -- a diversified family farm in Winters that grows everything from wine grapes to processing tomatoes to rice, wheat, corn, onions, alfalfa and hay -- O'Geen took the audience on a journey back in time, describing the rich natural history of the former floodplain that has given rise to the rich, productive soils that support California agriculture today. 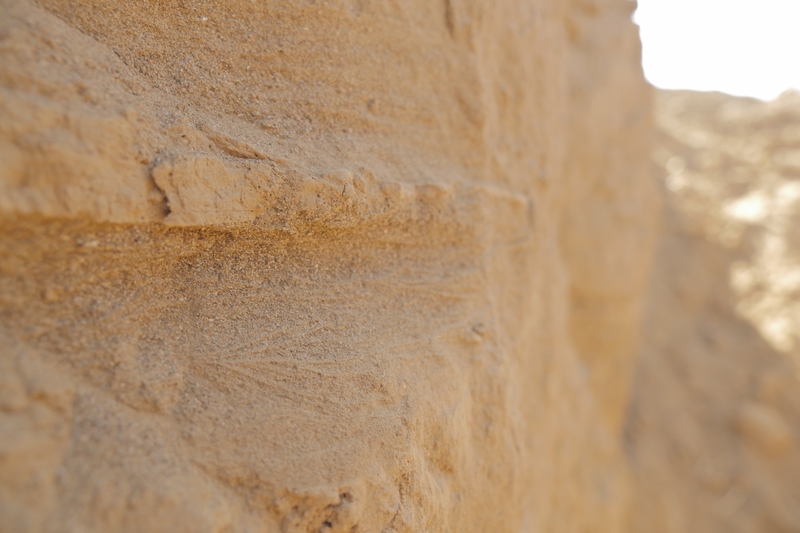 After introducing himself as a pedologist, or a scientist who studies the nature and properties of soil, he went on to introduce the five soil forming factors and their role in molding initial (1) parent material (i.e. rocks), under the influence of (2) climate, (3) topography and (4) organisms and over a given period of (5) time into soils. 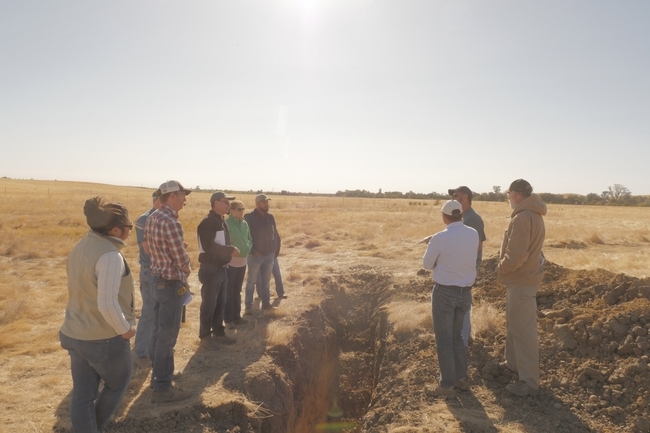 Yolo County farmers and UC Cooperative Extension specialist Toby O'Geen, right,peer deep into the processes that formed the land just beneath their feet. Proving that soil scientists take the term “pit stop” literally, Mathesius shifted the conversation to a 1.5-meter deep hole in the ground, dug out the day before with a back hoe. Step by step, he walked participants through the process of analyzing a soil pit – cleaning the face, identifying horizons or individual layers and using the senses to assess soil properties and determine function. As he struck the face of the pit with a rock hammer, an audible difference was detected between the surface layers and the subsurface. Working backwards from the sound, he explained that the subsurface was significantly harder, which he attributed to a finer texture and ultimately identified as a clay pan, a restrictive layer that prevents roots from penetrating deeply and has the capacity to waterlog soils, due to poor drainage. O'Geen offered some tangible advice as to how to manage these soils, quipping that a deep rip would be no better than cutting butter with a knife (eventually it all just settles back into place) while likening a slip plow to a giant shank that just inverts the soil, mixing things to about a depth of 6 feet and permanently eliminating the problem. 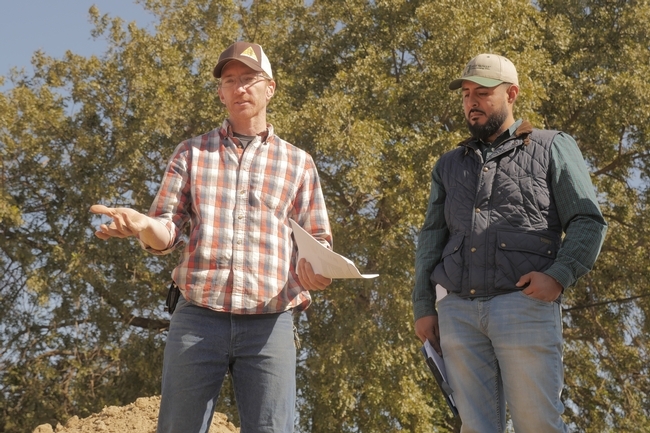 UCCE agronomy advisor Konrad Mathesius, left, talks soil texture and water-holding capacity. From there, Mathesius segued into a hands-on exercise to determine the soil texture, or percent distribution of various size particles, allowing participants to work on their pottery skills making balls and ribbons with the clay-rich soils. Discussing the many functions that soil texture controls, led the conversation down a rabbit-hole around water holding capacity and how to calculate the range of plant available water for your soil. 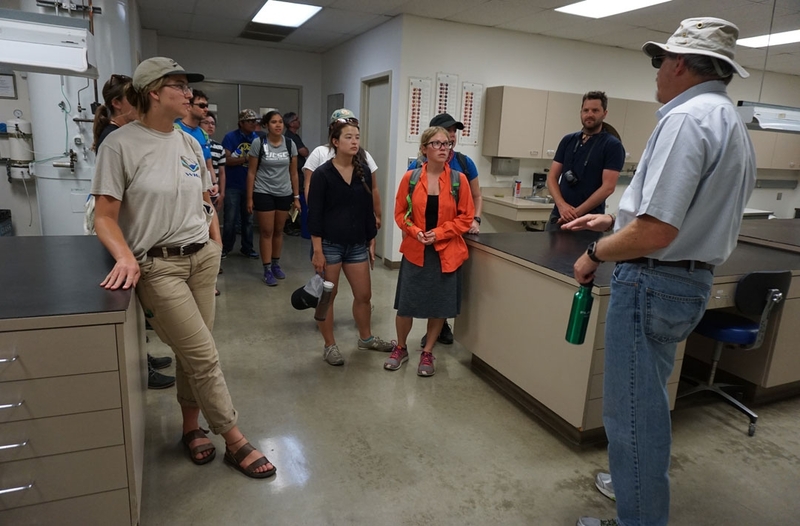 With the demos out of the way, they voyaged to the next pre-dug pit, bringing participants face to face with the harsh reality of soil heterogeneity. Just 300 feet away and it was as if we had ventured into another environment altogether, yet these soils formed in the same place, under the same climate and similar vegetation, but in a completely different time with slightly different starting material. By changing just a couple of the ingredients in the special sauce of soil formation the results are completely different featuring a clay dominant surface soil and entirely different water management challenges. And these aren't just any clays, but a special class that swell and shrink as they wet and dry, oftentimes shearing roots under the pressure and creating a hospitable environment for disease to thrive. O'Geen suggested trying to keep them in the sweet spot where they are consistently moist, but not wet, and never allowed to dry out. Unfortunately, there is no precise measurement to that formula, “you just have to be almost like an artist. It's a lot of feel to it and the numbers sometimes just don't work out. It just comes with years of experience. Its one of those native intelligence things that you just have to feel your way through,” he noted. Up close and personal with a soil pit, showing participants how to use basic tools of observation to assess soils! 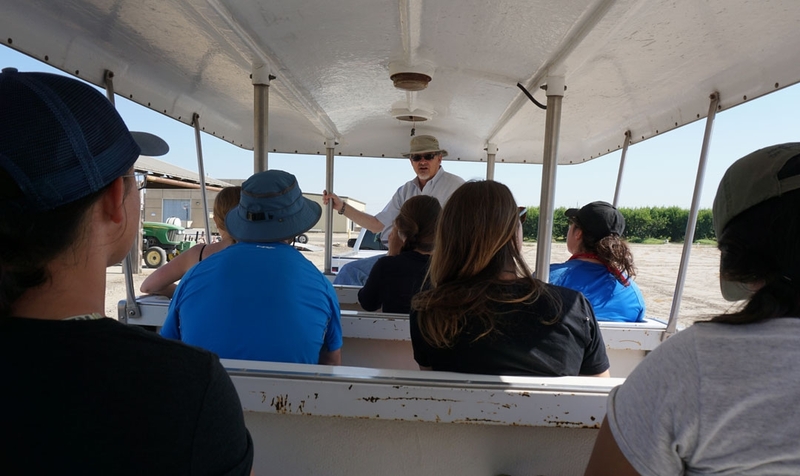 Caravanning 20 miles back towards Davis, the tour arrived at the third and final pit, located at Triad Farms, a tomato operation in Dixon. Well-drained, young and fertile, Yolo loam soils are the poster children of agriculture, owing in large part to regular deposits of silts from past flood events. 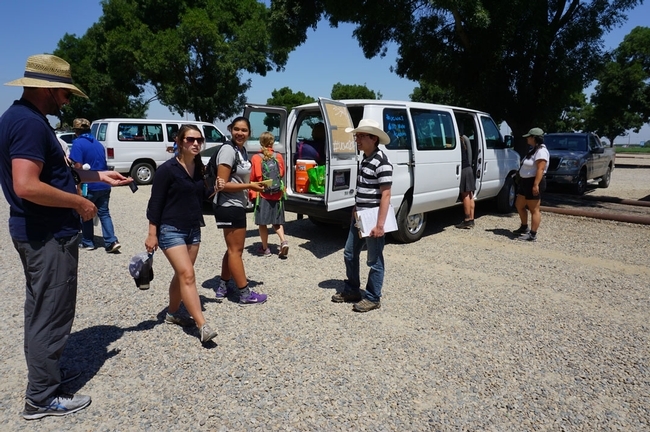 With not many management challenges to speak of, conversation immediately shifted towards an undocumented challenge that farmers on the eastern side of the Sacramento Valley are all too familiar with – the unavailability of potassium, even under intensive fertilization regimes. 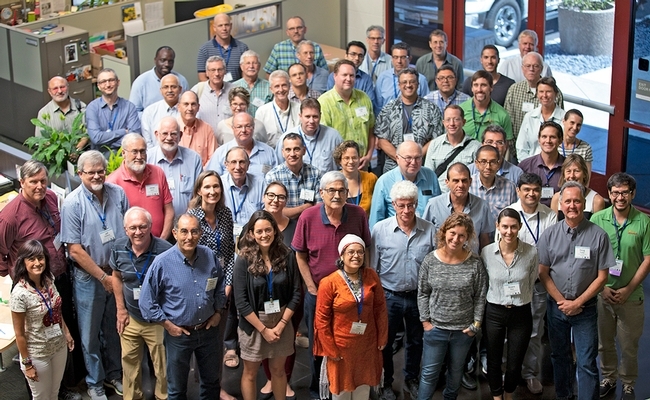 While the jury is still out on the cause and while it contradicts what soil scientists expect to find in those regions, possible explanations were tossed around and O'Geen used the opportunity to stress the importance of speaking up about things growers or advisors see going on in their area. 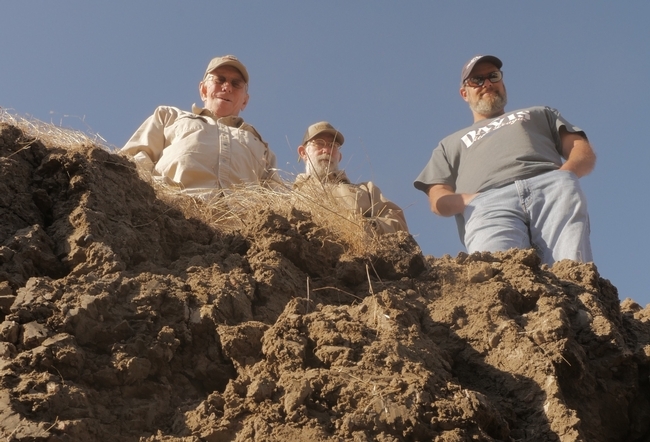 Turns out the USDA-NRCS is working on updating its inventory of soil surveys, documenting soils across the nation and is currently seeking input on what's working for growers and where things are differing on the ground. 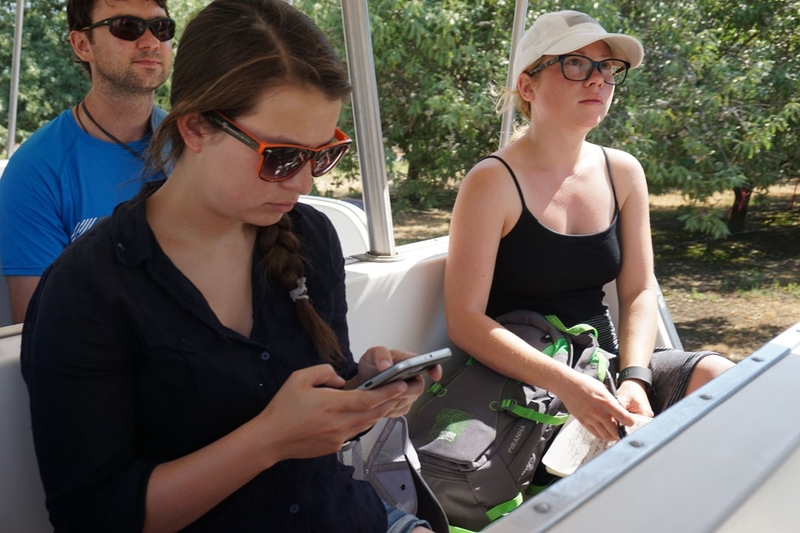 Ultimately, in closing, Mathesius called for more engagement between the university, extension and growers. 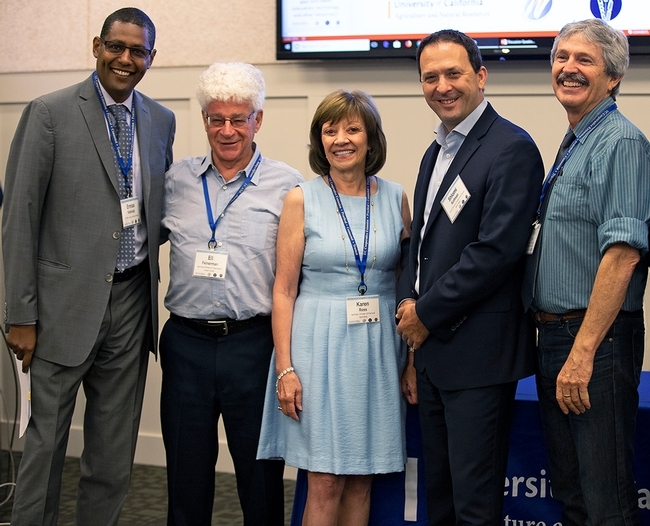 O'Geen reminded everyone that “You can really learn a lot by digging a hole, looking at stuff, and developing theories. Sometimes you're wrong, but they're kind of fun to talk about." Farmer Jim Morris on an alfalfa field being flooded for groundwater recharge. 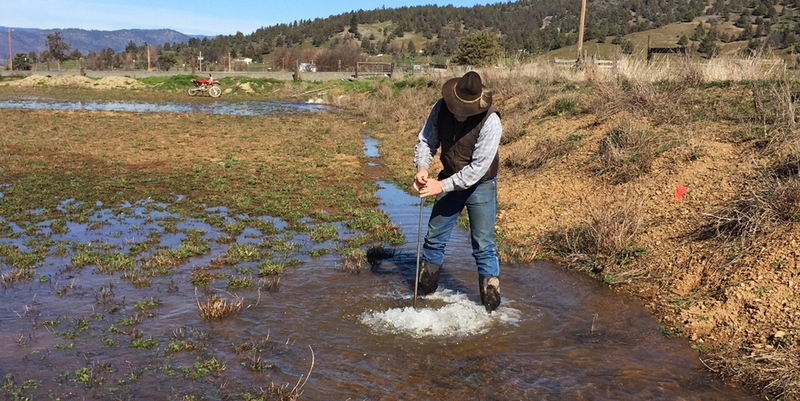 One proposed solution for recharging overdrawn aquifers is flooding farmland during the rainy season. 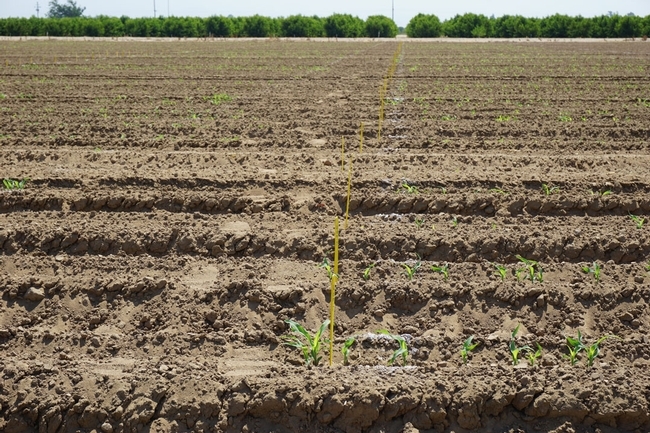 Optimizing agricultural groundwater banking for specific crops can be challenging. The goal of this project is to better understand how alfalfa, which is grown year-round, responds to winter flooding. 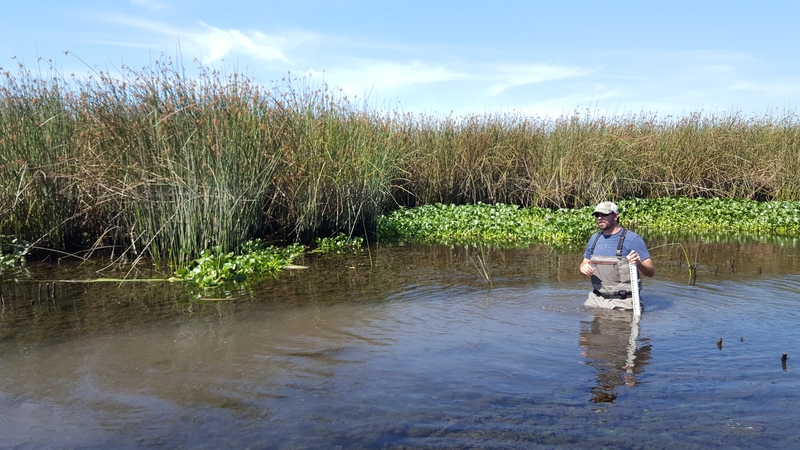 Declining water levels can degrade or eliminate fish habitat during California's summer season. 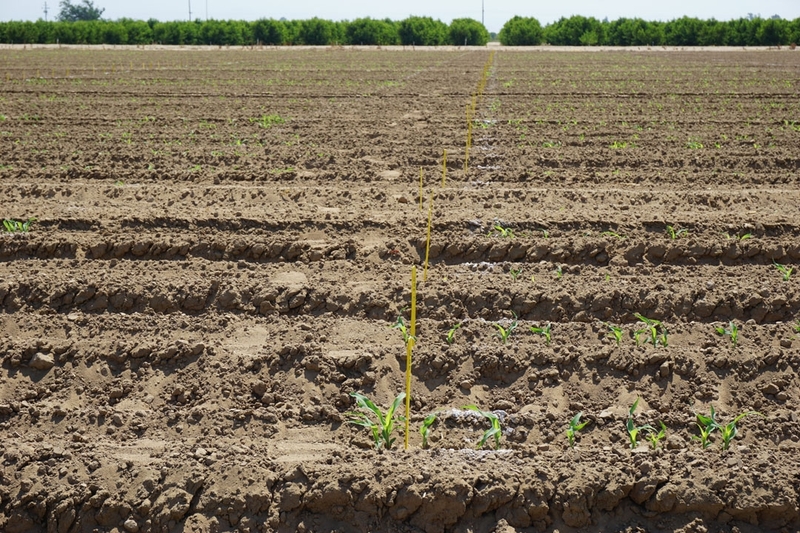 Storing water off-channel during the rainy season can improve flow during the summer. 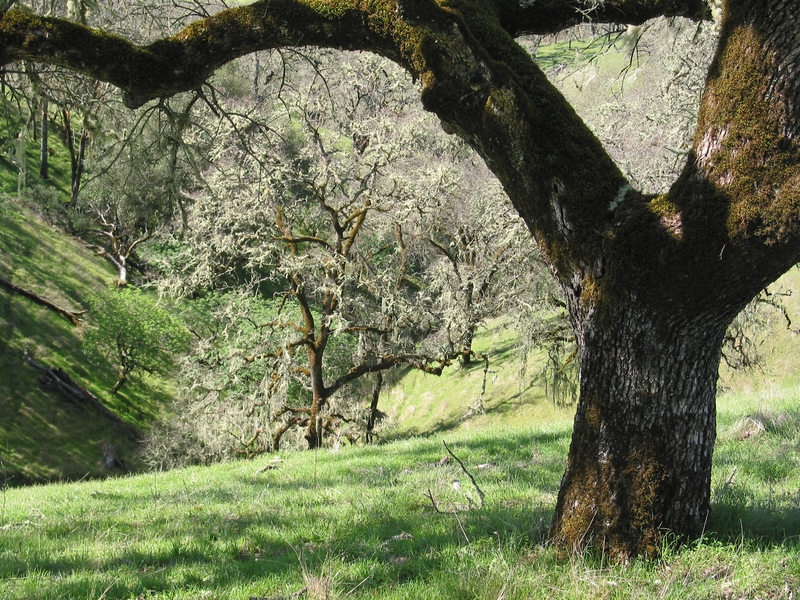 The study is designed to gain a better understanding of the relationship between stream flow and habitat. Turfgrass is common in urban landscapes and provides valuable recreation areas and ecosystem services. 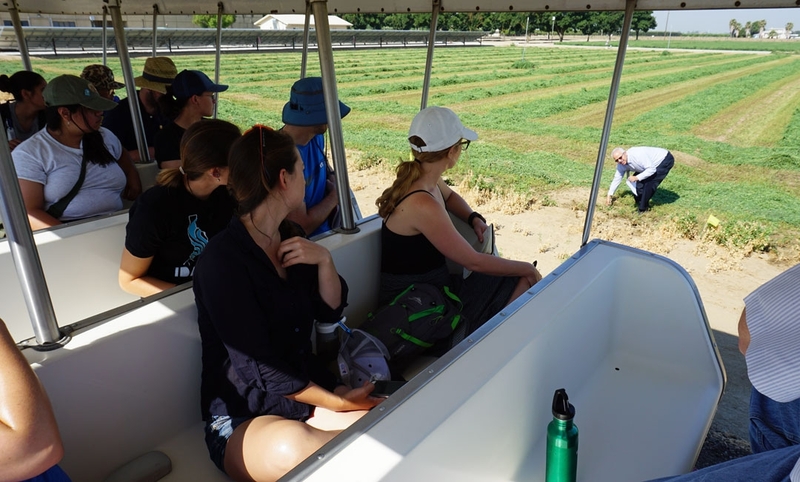 This project will help determine the best irrigation strategies for common turfgrass species. The natural conditions of the Sacramento-San Joaquin Delta have been changed by habitat alteration and non-native predacious fish introduction. 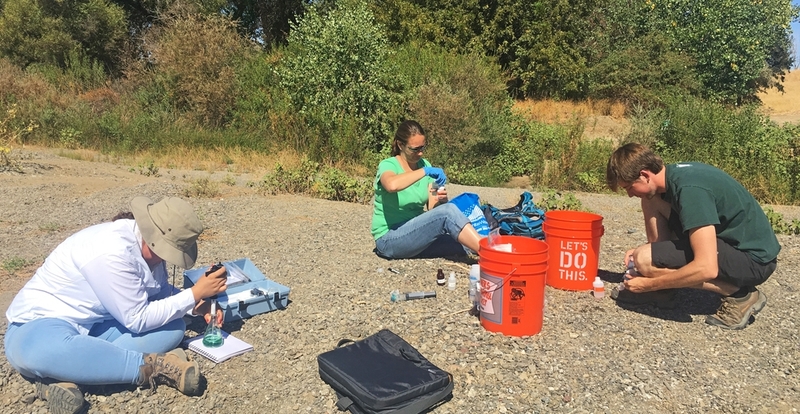 This project will examine the interplay between altered habitat and predatory fish, and how they impact native salmon populations. During the recent drought, California required that on-average urban water districts conserve 25 percent of their water. While some districts were successful, others failed to meet their target. 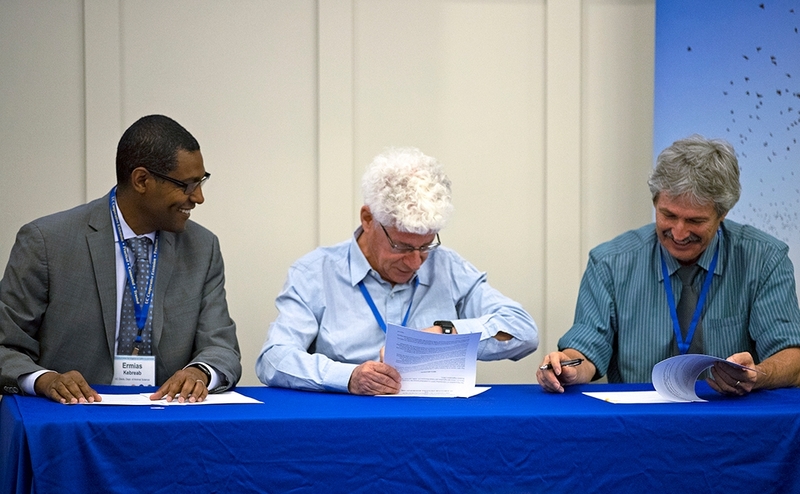 This project will examine how variation in policy – pricing, messaging and penalties – and drought severity affected water conservation. Sacramento State geology professor Amelia Vankeuren and graduate students collect samples at the American River. As part of California's groundwater management act, some basins were designated as high management priorities. This project will characterize groundwater using age, location and temperature. This information will be valuable for stakeholders creating a groundwater sustainability plan.